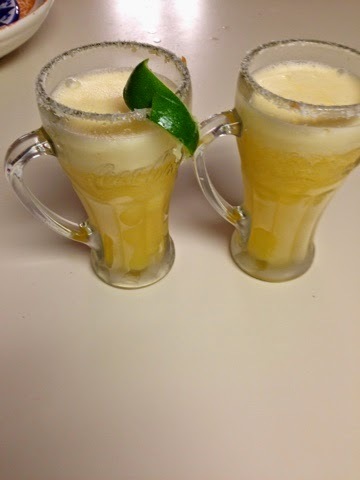 Rumor has it today is National Margarita Day so in honor of that I’m going to share my husband’s delicious recipe of one of my favorite drinks. 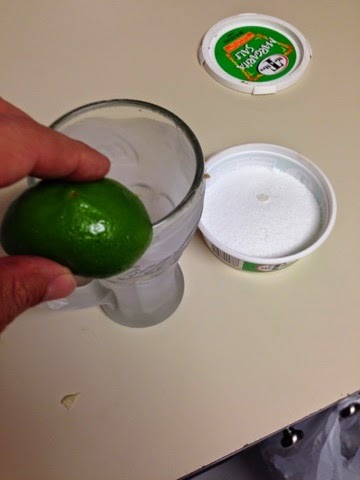 We used to make it frozen with a can of limeade and it tasted just like Chili’s frozen ‘ritas. But over time it didn’t taste as amazing as I used to remember it. Maybe my taste buds were growing up but it just wasn’t as good. 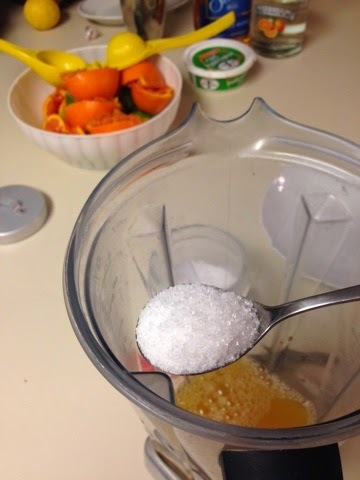 Plus when I started eating the Trim Healthy Mama way, I didn’t want to drink that much sugar. So I asked my hubby to create a more on-plan indulgent drink for me. Now I love them again and prefer to drink them at home, on the rocks. One thing he did to make them more on-plan is to use real limes and sweeten with my homemade on-plan sweetener. 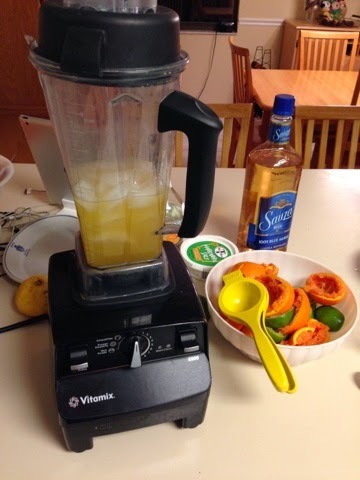 Then to reduce the amount of sugar even more he substitutes part of the triple sec with fresh orange juice. Have you heard of Cara Cara oranges? I just recently discovered them at our BJs and they are ah-MAZ-ing! I admit that it doesn’t taste like the traditional margarita this way but in my opinion it’s even better. Plus I get real vitamin C this way so it’s practically good for me, right?? Interested? Here’s what you’ll need to make it! Mix all ingredients in a shaker with ice. Pour into a frosty salt-rimmed glass and serve. Today, we decided to try it frozen. It turned out great! Here’s what you do. First you squeeze the fruit. We love this squeezing tool. Add the juice and the sweetener to the blender. Add the alcohol and ice then blend. 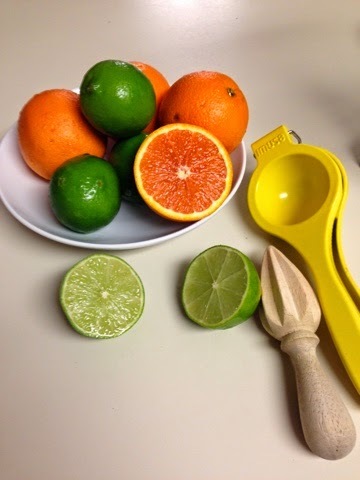 While the concoction is blending, use a lime or orange rind to wet a frozen glass and then it dip in salt. Pour into glasses and enjoy! Salud! Hey, salt melts ice, right?! I think you should definitely try it!